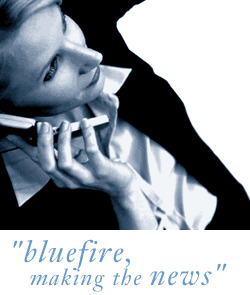 Bluefire Consulting | Facilities Manager : "facilities management" "logistics" "
We are currently looking to recruit an experienced Facilities Manager for our client based in Nottingham. It will be your responsibility for the adequate provision and maintenance of an effective facilities service to the company. Ideally from a logistics or manufacturing background, it will be your responsibility to be the primary point of contact for staff and suppliers for the area, understanding and responding to their needs so far as is practical, legal and affordable through the effective co-ordination of all the facilities and services to provide an exceptional service. With a portfolio consisting of 3 warehouse sites and 15 sales offices across the UK, the Facilities team are responsible for the effective delivery of both hard and soft . For this role it is essential that you have a proven track record of delivering Facilities Management of multi site locations within the private sector (both owned and rented properties) and have a solid experience of managing staff, including contractors. It is also essential that you have excellent negotiation skills and have the ability to use Word, Excel and PowerPoint at an advanced level. 	To manage the general facilities of all sites e.g. drainage, lighting, gardens etc. 	To manage and be responsible for any repairs as needed via internal maintenance or external suppliers. 	To manage and subsequently maintain the facilities for all forthcoming relocations. 	To manage all existing service agreements, costs and services provided including canteen, security systems, vending machines and waste/skips. 	To ensure all suppliers working on our sites meet all statutory requirements including fulfilling all Health & Safety needs. 	Management of service contracts for plant and equipment including fuel pumps, dock levelers, security systems and office equipment. 	To review and put to tender energy suppliers for the group e.g. gas, electric etc. 	To deal with any other ad-hoc issues that may arise at the request of your Line Manager. Due to the nature of this role, it is essential that you hold a full UK driving license you will be required to visit the companies other site located in different locations around the UK with occasional overnight stay.